The final and largest event sponsored by JMM is our fall Big Bird Fly-in. 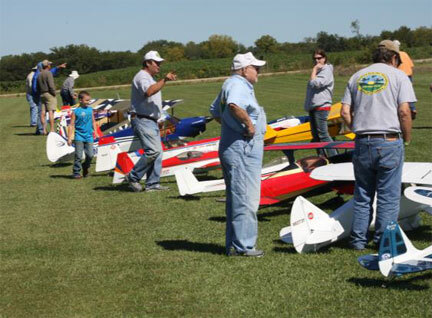 This event normally takes place on the fourth Saturday of September at Clinton International Model Airport, and is open to all pilots of large scale aircraft, with wingspans greater that 80". Outstanding large and giant scale planes and pilots from near and far gather in the reliably pleasant fall weather to share their love of modeling and flying. Saturday, September 22, 2018 Clinton International Model Airport. Registration starting at 8:00 am. Flying from 9:00 am to 4:00 pm. Landing Fee is $20.00, includes lunch by "The Smokin' Shack". Each pilot receives a free raffle ticket for the raffle airplane. Concessions and accessible facilities on site. View the pilot flyer here. 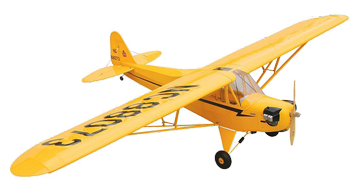 Raffle Plane: Ready to fly Hanger 9 1/4 scale J3 Cub! This beauty is fully assembled by a skilled craftsman, and includes a Rimfire 1.8, matching ESC, all servos, and Spektrum receiver. With a wingspan of 108 inches, this is a big bird worth over $800 that flies like a dream!